The easiest way to prepare the parameters for a spectral synthesis is by loading a configuration template. These templates are actually pre-saved configuration text files that are read by the radiative transfer modules when requesting an on-demand calculation. Actually, the full purpose of the online web-interface is to edit a configuration file. This file can be saved and downloaded for future operations. Every user is identified by a cookie and the IP address, and has a unique configuration file associated to this ID. Templates: By selecting a template, and pressing "load", the user replaces the actual configuration file by that of the template. 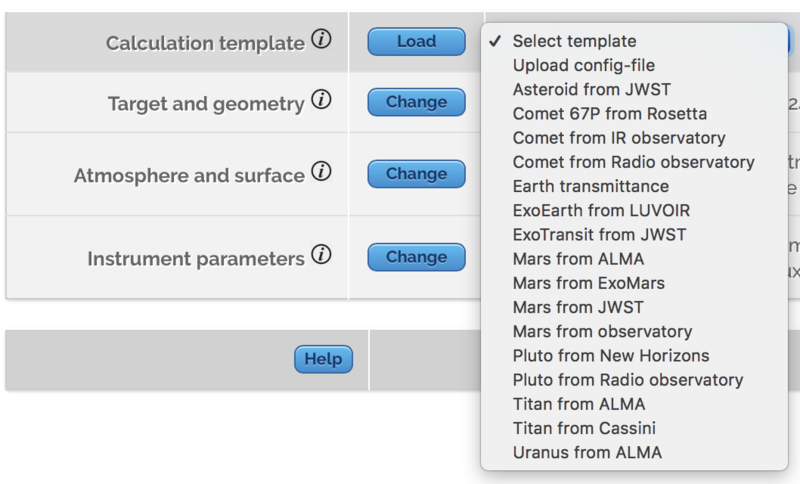 Several templates targeting the main objects in the solar system are available. One can then modify the parameters of the run by clicking on the "change" buttons, and one can also upload a previous parameter file by selecting "Upload config-file". Once the configuration of the parameters is ready, one can start the calculation by pressing "Generate Spectra". This will first verify the geometric parameters and pre-calculate geometric and atmospheric parameters. These will be fed together with the input configuration file to the radiative transfer modules for analysis. The output of these modules are actually text files (tables with a header), that are read by the graphics module to produce spectral plots. PSG incorporates a 3D (three-dimensional) orbital calculator for most bodies in the Solar system, and all confirmed exoplanets. This information is used to calculate all possible geometry parameters needed when computing spectroscopic fluxes. The astronomical data is based on pre-computed ephemerides tables that provide orbital information from 1960 to 2050 with a precision of 1 minute. In the "Target and geometry parameters" section, select the object, define date/time (UT) and press "Ephemeris" to load and calculate orbital parameters. This operation will fill the fields in this section by interpolating from high-precision pre-computed ephemeris tables. JPL-Horizons: for bodies not defined in the object list (and for dates outside of the 1960-2050 range), PSG connects to the JPL-Horizons server and extracts orbital parameters for that object. For small bodies with no sun/obs-lat/lon, PSG defines them based on the ecliptic angles. 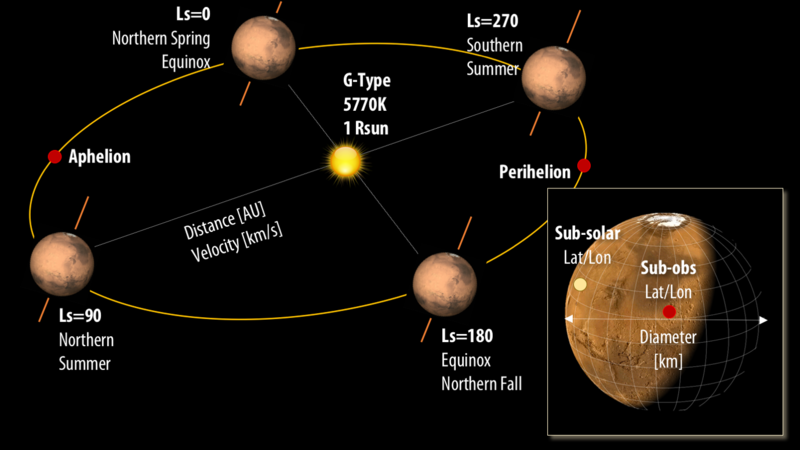 The object-name provided should be unique, or JPL will require providing a specific JPL-Horizons record number (additional information). For exoplanets, PSG performs the numerical integration of the orbit by extracting orbital parameters from the NASA Exoplanet Archive. PSG will search for specific ephemeris by clicking on these buttons: T) next primary transit; S) next secondary transit; P) next planet-star periapse. The name of the object should be compatible with that of the archive (see current list). Due to the uncertainty and degeneracies in the derivation of the orbital parameters for exoplanets, PSG assumes the following: a) the longitude of ascending node (Ω) is assumed to be π; b) the planets are tidally locked, and the star sub-solar lat/lon are set to the center of the planet; and c) the phase identifies the true anomaly with respect to that of the secondary transit, with a phase of 180 corresponding to the primary transit. Orbital parameters: In order to compute spectroscopic fluxes, one needs to establish the location of the object relative to its host-star, and the location of the observer relative to the object. The sub-observer parameters define the nadir position of the observer, while, the offsets, distance and velocity establish the lateral displacements (x/y), vertical altitude (z) and (dz/dt) parameters respectively. PSG includes the possibility to integrate stellar templates by adopting the Kurucz 2005 stellar templates (0.15-300 μm), mainly intended for exoplanets. 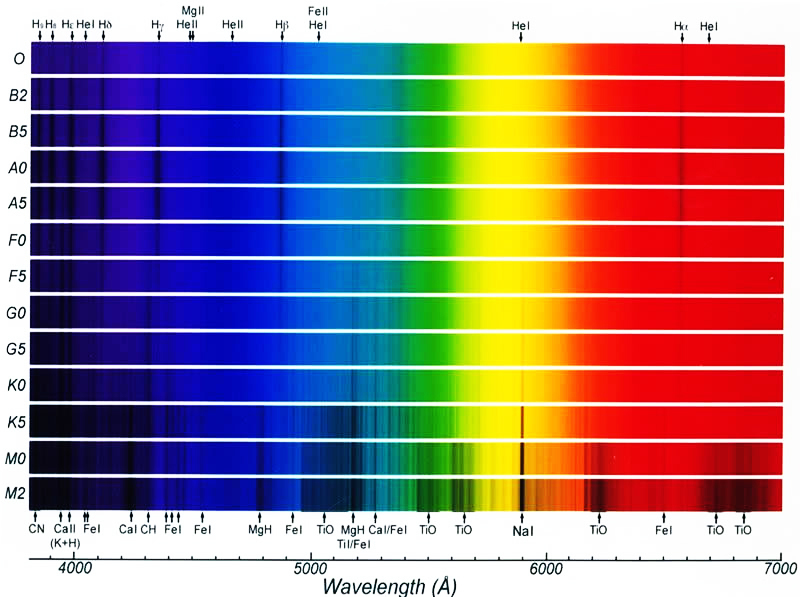 When considering the G-type template, the Kurucz spectrum is complemented by the ACE solar spectrum (2-14 μm). The stellar templates can be also scaled to different effective stellar temperatures. The stellar information is used to compute reflected stellar/solar fluxes, and also to compute the total observable exoplanet fluxes, when the (exo)planet and star are within the field-of-view (FOV). Stellar spectra: hotter stellar atmosphers (O/B/A) display spectra dominated by hydrogen and helium, while colder stars (F/G/K/M) display much more complex spectra containing numerous magnesium, iron, sodium and calcium lines. PSG employs the Kurucz 2005 spectral templates to describe these stars in the (0.15-300 μm), while it complements the G-type by integrating the ACE solar spectrum (2-14 μm). Once the locations of the object relative to its host-star and that of the observer relative to the object, one needs to define the observing geometry. PSG allows to define for different observing geometries: observatory, nadir, limb, solar/stellar occultation and from-surface (looking-up). Observatory: in this configuration the observer is located above the sub-obs location, and lateral displacements (x/y) are entered as offsets. Nadir: in this configuration the observer is located above the sub-obs location, and only the distance (z) and angle relative to this point are defined. Of relevance to orbiters. Limb: in this configuration the observation is performed tangentially to the surface towards empty space. The sub-obs point defines the shortest distance to the surface. Solar/stellar occultation: in this configuration the observation is performed tangentially to the surface towards the sun or a star. The sub-obs point defines the shortest distance to the surface. Looking up: in this configuration, the observer is located on the planet's surface and observe upwards. Of relevance for computing telluric radiances / transmittances.